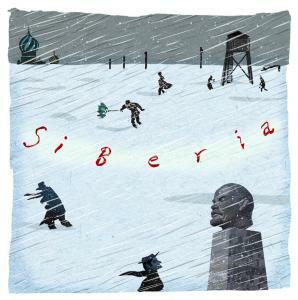 Siberia is the Pacific Ocean of land: an enormous place that consumes not only much of the planet but the imaginations of many, including writer Ian Frazier. Siberia makes up one-twelfth of the world’s land mass. It has eight time zones. Huge, but hardly inhabited, Siberia hosts about 39 million people; the continental United States could be easily plopped inside of it, with room left over for a gaggle of European nations. All but a half-dozen cities along the Trans-Siberian Railway were closed off to foreigners until the demise of the USSR, so it spent most of the last century in hibernation. But it was a deadly sleep. Siberia was the home of the gulags, one of history’s worst killing fields where millions of political prisoners were exiled, tortured, and worked to death during the Stalin terrors. It was where the last czar and his family were slaughtered in a basement. It is cold. Visitors try — and usually, like Frazier, fail — to make it to Oimyakon, the obscure Siberian village where in 1933 the coldest temperature (96.2 degrees below zero Fahrenheit) of any permanently inhabited place on Earth was recorded. Schoolchildren in Oimyakon, it is said, get the day off if it gets colder than 61 degrees below. Siberia provides Frazier the perfect canvas to paint what may be his masterpiece. Frazier told the story of the Great Plains (his eponymous 1989 bestseller) and Native American life (“On the Rez,’’ 2000) by mixing history, reportage, and memoir, but what makes him special is his brilliant, if quirky sense of humor. Having worked on the Harvard Lampoon while in college, he first burst guts around the country in 1986 with “Dating Your Mom’’ — the title piece is a classic. When confronted with a place as serious as Siberia, it helps to have Frazier’s comic leavening. “Travels in Siberia’’ is a typically sprawling Frazier book. Underneath a rich smear of his pen-and-ink sketches and his research (Frazier is an unusual travel writer in that not only is he very funny, but he is very serious, and he offers nearly 40 pages worth of endnotes and a bibliography of scores of books on Siberia) are the threads of five trips he took to the region since 1993. From the Alaska side, he hopscotched around Chukotka’s Chukchi Peninsula. For a satirist like Frazier, it was like shooting fish in a barrel, and he restrained himself, only rarely cracking a joke. “Chukchi girls dancing with a telephone lineman from California is a sight seen almost never, and then not more than once” — or noting that the two stuffed bears displayed in the Anchorage airport were killed by dentists. The longest section of the book is devoted to a 37-day road trip from the Baltic to the Pacific in the summer of 2001. “Great Plains’’ famously opened with exclamation points ending the first 10 sentences, and Frazier, although 20 years older, still is an impassioned writer. He gleefully spots the largest head of Lenin in the world. He says that he never met a Russian child who knew how to play tic-tac-toe. He also was anxious in Siberia. It is oddly endearing. Many travel writers pretend their trip proffered little headache. Frazier pokes fun at himself for calling his wife in New Jersey on his satellite phone (“When my wife answered she was making dinner”) or for being fearful of every meal after getting salmonella poisoning or for penning a farewell note during a particularly hair-raising adventure. He tries to make two Russian companions driving him on the trip install seat belts in their car, but they totally ignore him. Any self-respecting visitor to Siberia, Frazier notes, has to go in winter. It is on that trip that he visits the ruins of one of Stalin’s death camps. Frazier carefully describes the scene at the abandoned, snow-bound site — the cracks in the log cabin pitifully chinked with moss — and then he stands back and looks at it from afar. He talks about American complicity, how ships carrying prisoners sailed within sight of Alaska and guards used American bulldozers to dig mass graves. He then explores the question of why there are no historical markers or memorials at the Siberian gulag, as there are at some other sites of atrocity like Dachau and Auschwitz. The terrible crimes are still incompletely acknowledged, he argues, because the camps embodied Stalin and “the world has not yet decided what to say about Stalin.” It is a simple point but a powerful one and like much of the book, both Frazier’s images and his insights about the camps linger long after you stop shivering. James Zug is the author of “American Traveler,’’ a biography of John Ledyard, the first American to explore Siberia. He can be reached at jzug@earthlink.net.